The nearly month long, biggest esporting event of the year is upon us. League of Legends teams kicked off the play-in stage earlier today with matches set to continue throughout the rest of the weekend. Elsewhere there’s the SoCal Regionals for tournaments in games from around the fighting games community as well as qualifiers for the next big Dota 2 tournament. Play opened early this morning after the beginning ceremony with Team WE vs. Lyon Gaming at 1:30AM EDT. Matches then went on through 7:00AM with a rebroadcast scheduled for 3:00PM later today. If you want to catch up on the current standings before then, you can find a breakdown of the results from earlier today here. On Sunday the action resumes at 1:00AM EDT with Team oNe Esports vs. Cloud9 and ends at 6:00AM with Team WE vs. Gambit Esports. You can catch all of the matches live, as well as the 3:00PM rebroadcasts, here. Qualifiers for ESL One Hamburg are ongoing throughout the weekend as well, with teams across different regions gunning for spots in the main event. 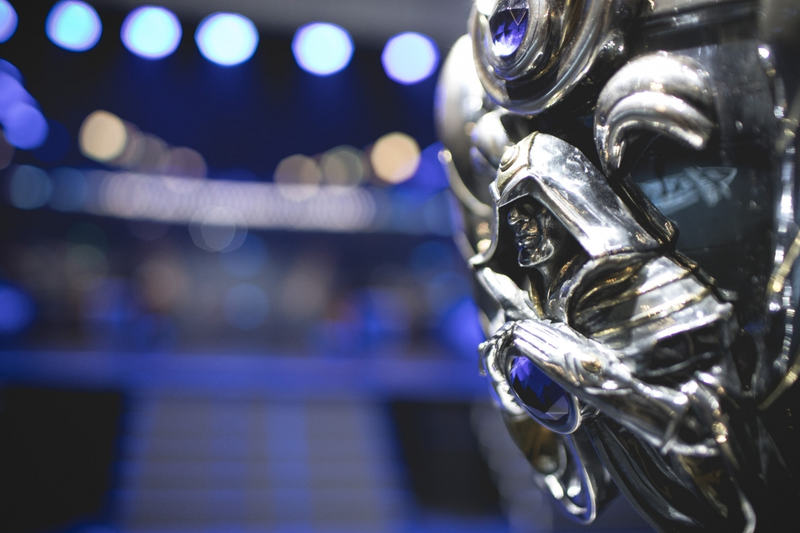 In North America, Evil Geniuses take on Complexity at 2:00PM EDT. In Europe, Team Secret takes on MidOrFeed at 7:00AM Sunday morning. You can find a complete schedule for the remaining qualifiers here. Matches will be streaming here. In week six of the Contenders League, Envyus will take on Rogue at 5:15PM EDT today, followed by Envision vs. Faze Clan at 7:15PM. Then on Sunday Destroit Renegades kick things off against FNRGFE at 5:15PM, followed by Kungarna vs. Immortals at 7:15PM. You can find a complete schedule, including the times and standings for the Europe’s matches, here. You can watch all of the matches in the stream below. Group C of the ELEAGUE Premier 2017 event continue the carnage today with Virtus Pro vs. Ninjas in Pyjamas at 2:00PM EDT, followed by Team Envyus vs. the winner of the pervious series. The Capcom Pro Tour visits the United Kingdom this weekend for the EGX Premier Event featuring players like Luffy, Big Bird, andMisterCrimson. Pools are ongoing with the top 8 scheduled for early Sunday morning. You can stream that tournament here. Then the Souther California Regionals will see Punk, Justin Wong, and Snake Eyez in attendence with pools live throughout the day, while on Sunday Shoryuken will pit eight of the best Street Fighter players against one another, including Tokido and NuckleDu. The tournament starts at 1:00AM EDT in Tokyo on Sunday morning. You can stream those events here. Syndicate 2017 is this weekend, featuring Armada, Wizzrobe, and ChuDat among others. The Melee, Project M, and Smash Bros. 4 event kicked off earlier today and will have matches going until around 2:00PM EDT. On Sunday, the action resumes at 4:00AM EDT with Melee top 64 and will conclude with Smash 4 by around noon. You can stream the matches here. It’s week ten of the regular season with the HotS playoffs just around the corner. Saturday’s action began in Europe at 12:00PM EDT with Zealots vs. Team Good Guysrt. Then in North America the action picks up at 5:00PM with Team Freedom vs. SpaceStation Gaming. You can find the complete schedule and current standings here, with the matches streaming live here. The matches kick-off in North America at 3:00PM today with Renegades vs. Allegiance. Then in Europe the week’s action begins at 12:00PM EDT with Frontline vs. Team Secret. In week three of Smite’s fourth season, the weekends action starts with ELV vs. DIG at 1:00PM EDT today, while on Sunday it’s ALG vs. SSG at the same time. Last but certainly not least, CEOtaku, an event for all things anime featuring a number of gaming tournaments ranging from Guilty Gear to Catherine, is going on this weekend. There’s a full schedule for everything going on with most of the big matches streaming here.